Seagate - ST31500341AS ST31500341AS Seagate Barracuda 1.5TB 7.2K RPM 32MB Buffer 3.5Inches Form Factor SATA300 Hard Drive. New Bulk Pack. Our Goal is to provide Low Price, Great Products & Services to customers. University, Govt PO Welcome! 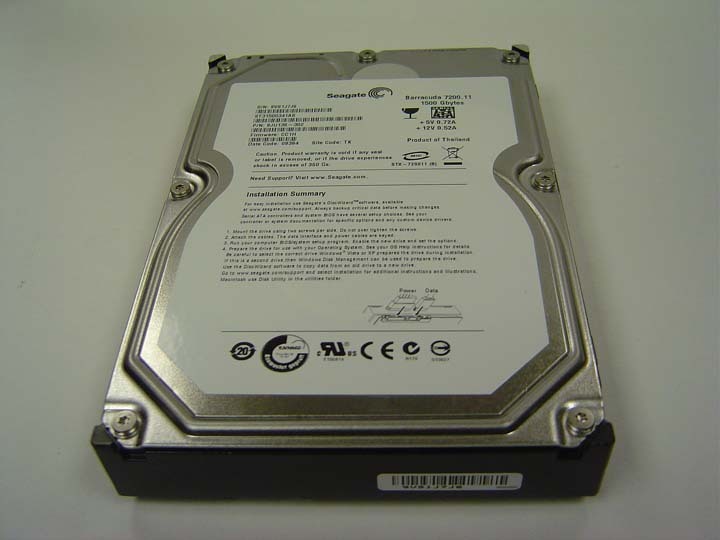 Seagate - ST1500DM003 ST1500DM003 Seagate 1.5TB 7.2K RPM 64MB Buffer Form Factor 3.5Inches SATA 600 Internal Hard Disk Drive. New Bulk Pack. Western Digital - WD1502FAEX WD1502FAEX Western Digital Caviar Black 1.5TB 7.2K RPM SATA-6GBPS 64MB Buffer 3.5inch Internal Hard Drive. New Bulk Pack. Seagate - ST31500541AS ST31500541AS Seagate Barracuda 1.5TB 5.9K RPM 32MB Buffer 3.5Inches Form Factor SATA300 Hard Drive. New Bulk Pack. 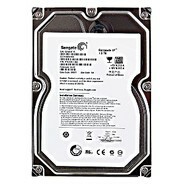 Western Digital - WD15EARX WESTERN DIGITAL - NEW WITH STANDARD MFG WARRANTY. CAVIAR GREEN 1.5TB(1500-GB) 5400RPM(INTELLIPOWER) SATA-6GBPS HARD DISK DRIVE. 64MB BUFFER 3.5 INCH FORM FACTOR LOW PROFILE (1.0 INCH). WD15EARX IN STOCK.SHIP SAME DAY. Dell - 341-9283 DELL - 1.5TB 7200RPM SATA-II 3.5INCH FORM FACTOR 32MB BUFFER INTERNAL HARD DISK DRIVE(341-9283)FOR PRECISION WORKSTATION T5500 & T7500. IN STOCK.SHIP SAME DAY. Dell - H317K DELL - 1.5TB 7200RPM SATA-II 3.5INCH FORM FACTOR 32MB BUFFER INTERNAL HARD DISK DRIVE(H317K)FOR PRECISION WORKSTATION T5500 & T7500. IN STOCK. SHIP SAME DAY. Dell - 341-8559 DELL - 1.5TB 7200RPM SATA-II 3.5INCH FORM FACTOR 32MB BUFFER INTERNAL HARD DISK DRIVE(341-8559)FOR PRECISION WORKSTATION T5500 & T7500 XPS. NEW. IN STOCK.SHIP SAME DAY. 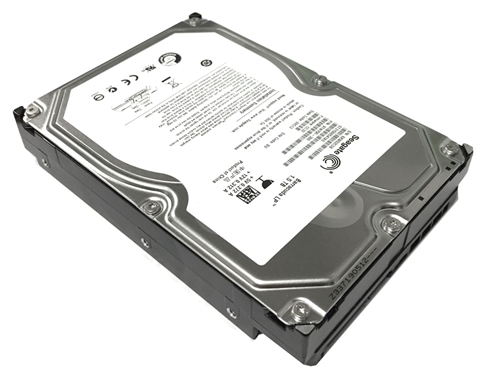 Seagate - ST31500541AS SEAGATE - BARRACUDA 1.5TB (1500-GB) 5900RPM SERIAL ATA-300 (SATA-II) 3.5INCH FORM FACTOR 32MB BUFFER INTERNAL HARD DISK DRIVE (ST31500541AS). IN STOCK. SHIP SAME DAY. Seagate - ST1500VM002 SEAGATE - NEW. PIPELINE 1.5TB (1500-GB) 5900RPM 3.5INCH 64MB BUFFER SATA 3GBPS INTERNAL HARD DISK DRIVE (ST1500VM002). IN STOCK. SHIP SAME DAY.